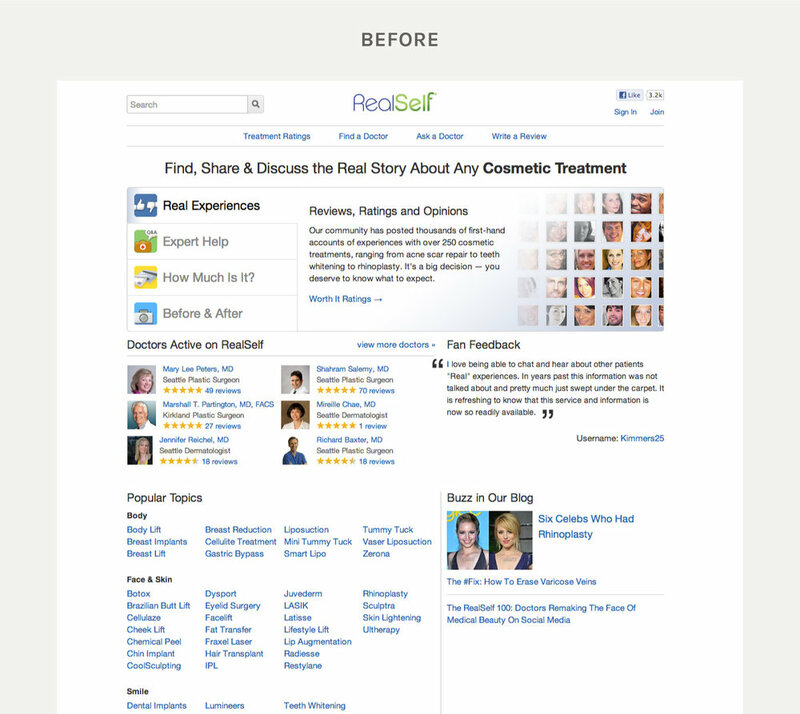 RealSelf is a trusted resource for tens of millions of users seeking cosmetic treatment, giving them a platform to share their experiences through photos, doctor reviews, and candid opinions. 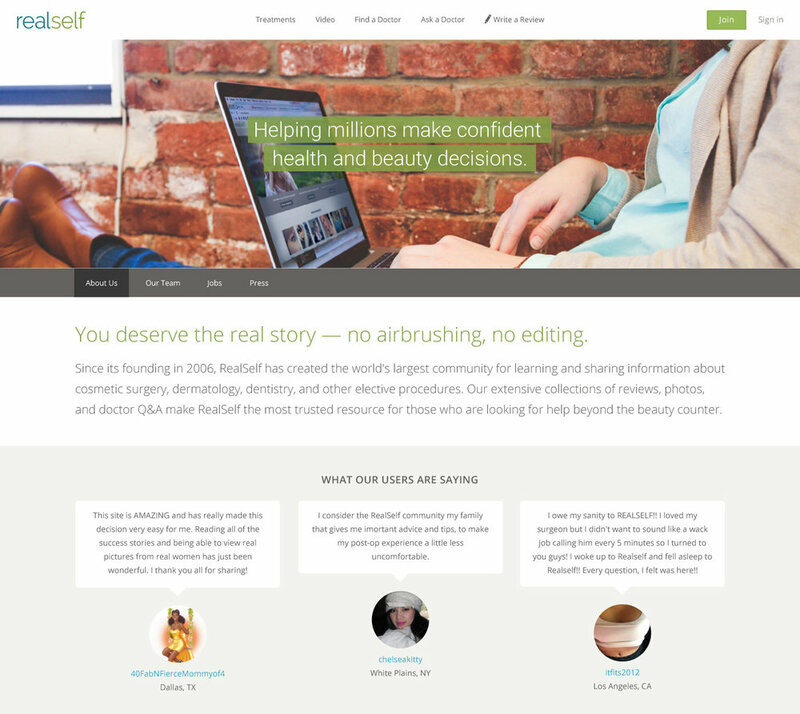 Challenge: RealSelf had millions of users, but a designer had never touched the website. The goal was to maintain user loyalty, but overhaul the branding to feel more welcoming to first-time visitors. Process: Working closely with the CXO, we launched a mobile-friendly website with improved usability while simultaneously rebranding. Post-launch, we closely monitored the site to gauge performance and look for areas of improvement. Moving forward, we AB tested new features and modifications on various pages. Challenge: Outfitted with an antiquated layout with convoluted navigation, RealSelf doctors were unable to monitor their performance and patient interest. Process: I worked closely with developers to design and ship this product on a tight schedule. It was important to be flexible with design, but not to compromise on key elements that pulled the experience together. Outcome: Doctors are now able to navigate their dashboard with ease and monitor their stats at a glance. 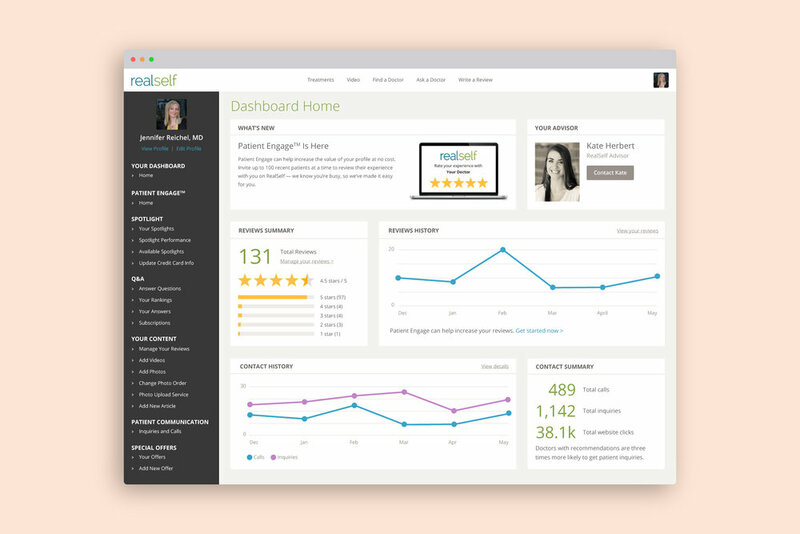 RealSelf Doctor Advisors can use the dashboard as a selling point when reaching out to potential new clients. Worked with Tara on several projects. Has the skills of an exceptional interaction designer. Great eye for aesthetics, critical analyis of user experience, good technical understanding and the right combination of team player + independent thinker.